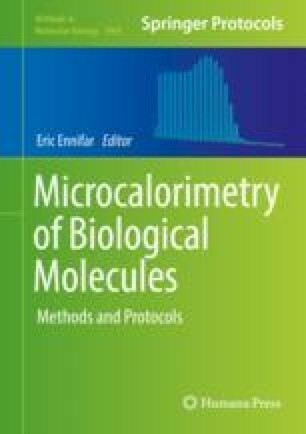 Isothermal titration calorimetry (ITC) has become the preferred experimental technique for characterizing intermolecular interactions between biological molecules. Among the several advantages, the use of natural non-labeled molecules and the determination of the complete thermodynamic profile for the interaction in solution remain as the primary features that have promoted ITC to the forefront of experimental biophysics. The experimental design in ITC may range from studying a simple direct binary macromolecule-ligand interaction to studying the homotropic or heterotropic cooperative effect between ligands when interacting with a given macromolecule. The theory of the binding polynomial has proven to be an appropriate unifying framework for handling the complexities that can be encountered when studying macromolecule-ligand interactions, though it has been deemed troublesome. The goal of this chapter is to provide a quite simple and widely available set of training experiments aimed at mastering the formalism of the binding polynomial applied to isothermal titration calorimetry. This work was supported by Spanish Ministerio de Economia y Competitividad [BFU2013-47064-P and BFU2016-78232 to AVC]; Fondo de Investigaciones Sanitarias [PI15/00663 and PI18/00349 to OA]; Spanish Ministerio de Educacion, Cultura y Deporte [FPU13/3870 to RCG]; Miguel Servet Program from Instituto de Salud Carlos III [CPII13/0017 to OA]; Diputacion General de Aragon [B136/13 to RCG, Digestive Pathology Group B01 to OA and RCG, Protein Targets Group B89 to AVC]; Centro de Investigacion Biomedica en Red en Enfermedades Hepaticas y Digestivas (CIBERehd); and Asociacion Española de Gastroenterologia (AEG).